As the world of horsepower-per-cubic inch continues to escalate, the details that were once mundane and secondary have all become important. While attention to pushrod strength has pushed diameters up to 9/16-inch in some applications, the pushrod tip is not immune from evaluation. As race engines continue to extract more power from the perceived “ancient” cam-in-block, pushrod style arrangement, consideration should be paid to pushrod tip styles. The ball-end tip is one of the most common types of pushrod. However, the shape is less simple than one might expect. Trend engineers have spent considerably time developing the right radius for the ball tip to ensure strength and durability. The traditional ball-end on a one-piece pushrod has its advantages deeply ensconced in simplicity. These elegant examples often withstand enormous loads given their small 5/16 and 3/8-inch diameters. 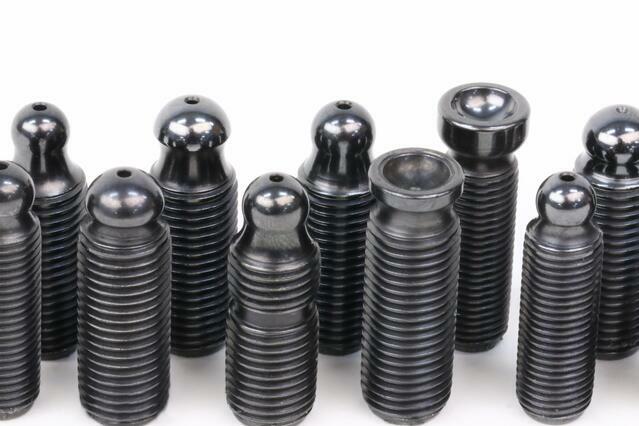 But as valve lifts continue to escalate, the standard pushrod ball end began to experience clearance limitations. Higher valve lifts often cause interference with the rocker arm. This created the need for what Trend calls the 210 degree radius ball end. These are available in numerous stocking lengths for immediate shipment in diameters from 5/16- to ½-inch. 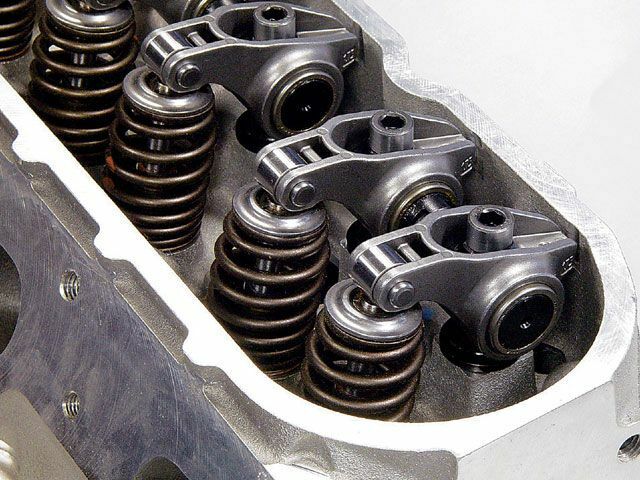 This is an option for nearly all of Trend’s performance pushrods with the greater radius offering increased clearance around the rocker as the rocker arm angle becomes severe at maximum valve lift. Effectively, the ball is extended from the body of the pushrod offering almost an underneath radius clearance that can offer enough real estate to make that interference disappear. Trend pushrods use formed ball ends. 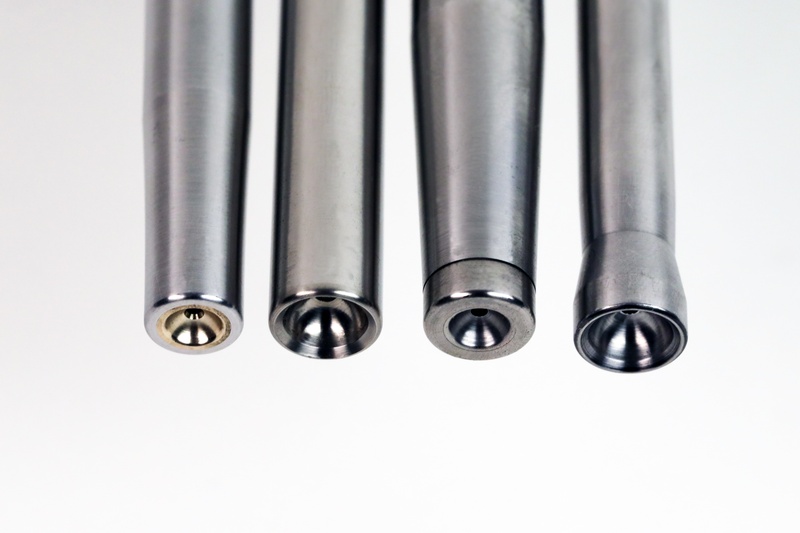 Unlike a welded ball-end, which has an inherent weak point, one-piece pushrods are much more resistant to failure. 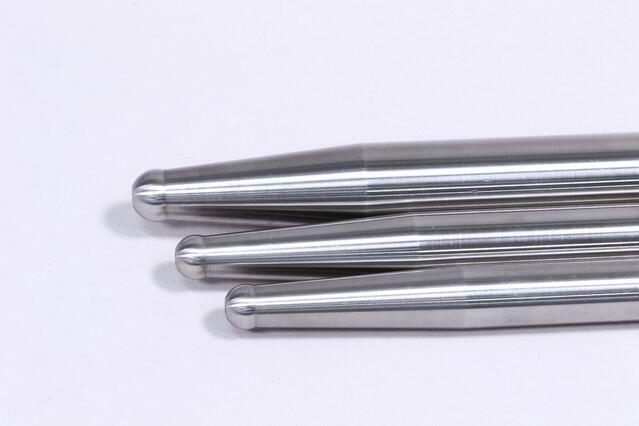 Ball-cup pushrods are the next most popular pushrod tip style. 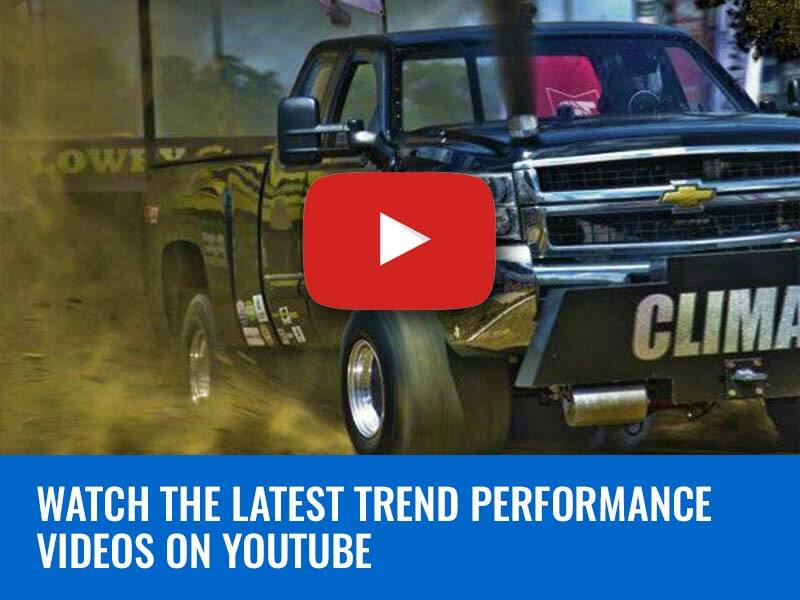 These are extremely popular with engine builds throughout various performance applications like Comp Eliminator, Extreme 10.5 engines, and Pro Mod. The main body of the pushrod is a full taper 7/16-inch diameter with a 0.165-inch wall thickness that narrows to 3/8-inch at the rocker end for additional clearance. The design retains the classic ball tip on the lifter end with a traditional 3/8-inch ball diameter but the rocker end replaces the ball with a 5/16-inch shallow cup intended to be used in conjunction with shaft rockers systems with an adjuster ball on the rocker. The cup also is designed with a shallow ¼-inch radius to create additional rocker clearance. 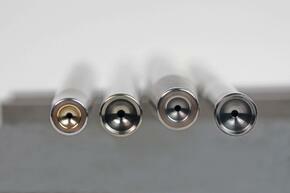 The entire pushrod is heat treated to Rockwell 60 hardness. 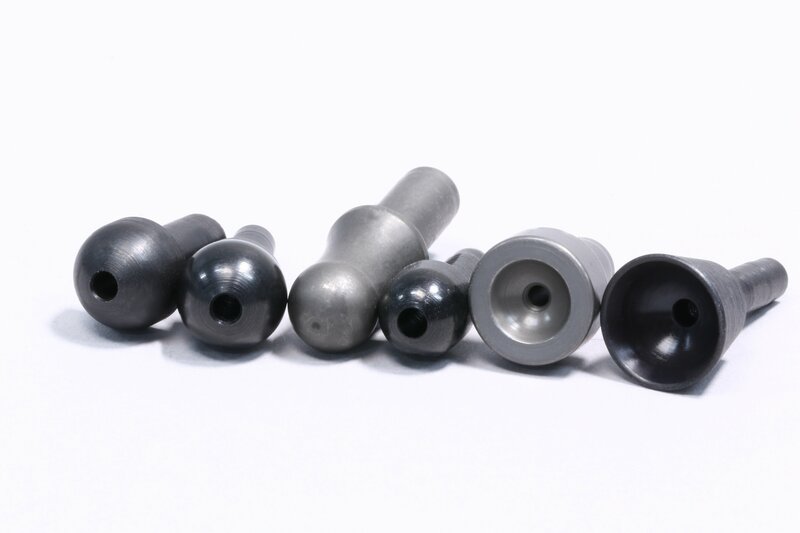 For applications with extreme pressure loads generated by triple-spring pressures, Trend created the BZ series cup pushrod tip. 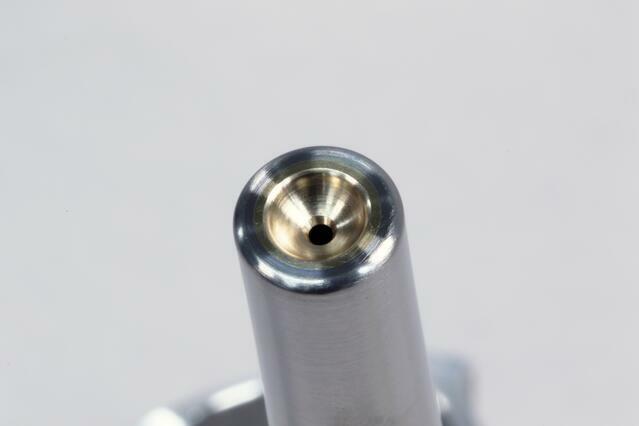 In this application, the cup end utilizes a proprietary bronze insert that is press-fit into the pushrod cup and machined with a 0.140-inch radius that accepts the common 0.281-inch rocker adjustment ball. 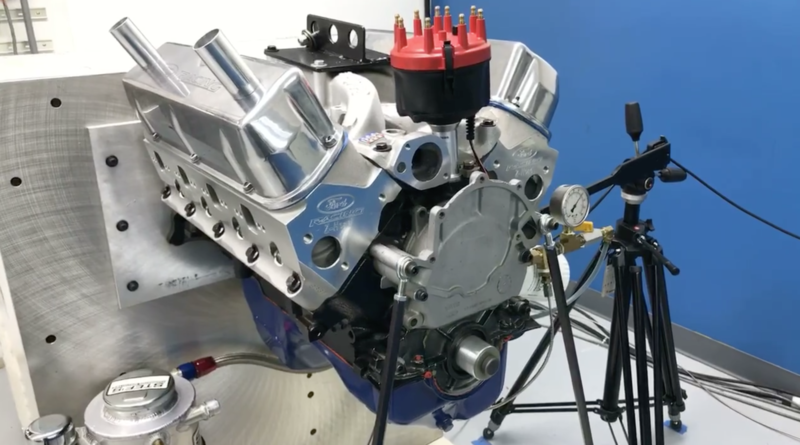 The insert offers a softer material that can take the abuse of high rpm valvetrain accelerations but is also oiled through the pushrod for durability. 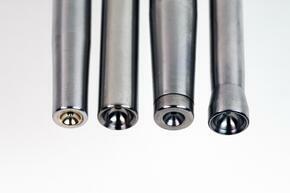 Trend offers several different pushrod cup configurations and materials. In some applications a pressed in cup allows mixing and matching of materials for ideal strength to wear characteristics. Other times, a cup is formed into the pushrod itself. Lastly, a bronze insert can be pressed in for extreme RPM. The BZ inserts can be ordered in either 7/16-inch x 0.165-inch diameters, ½-inch x 0.200, or 9/16-inch x 0.187-inch wall thickness configurations and also with options from straight, single, or double taper body styles. One advantage to converting to a cup style pushrod is that lubrication tends to pool in the cup even under high rpm use compared to a ball on the pushrod where the oil is likely to trail off. This difference allows this highly-stressed interface to run cooler and prevent galling. Next up on the list of pushrods designed to take extreme loads is the H-series tool steel pushrods. 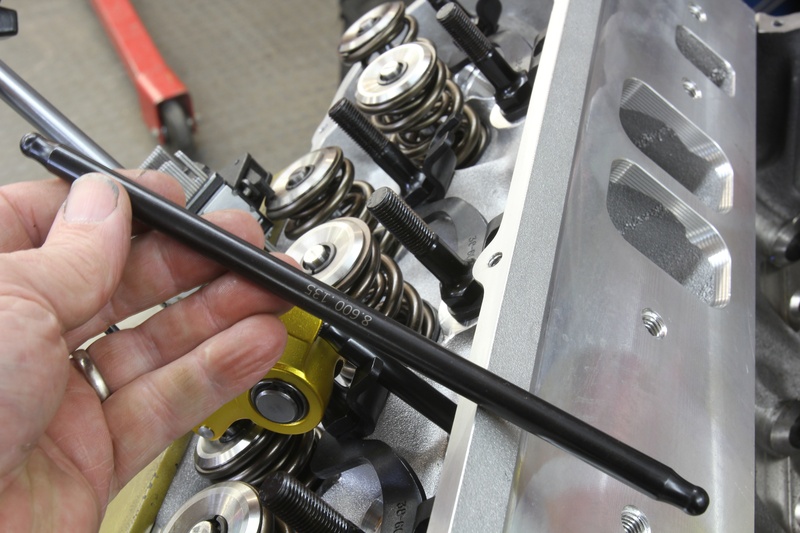 Mainly employed in Top Fuel or Funny Cars, the tool steel pushrod is a solid beam with no oil passage to the ball stud through the pushrod. Also with a 3/8-inch ball on the lifter end, the H-series uses a larger 3/8-inch cup on the rocker end with body diameters of 7/16 or ½-inch. These are hardened to 54 to 56 Rockwell C specs. For extreme applications with high RPM and valve-spring pressure, Trend uses a BZ-Series pushrod that has a bronze insert pressed into the pushrod body. Beyond that, for competition use only, Trend offers Hard Tip pushrods with a 5/16-inch hardened tip that is self-lubricating. These also offer the 210-degree radius to increase clearance. Finally, the V40 Cup configuration is the tip-of-the-spear for the most radical applications. Similar to the Hard Tip series, the V-40 uses a self-lubricating 5/16-inch tool steel cup for maximum operating clearance around rockers while retaining the 5/16-inch hardened, self-lubricating ball. All of these elite version pushrods are intended for competition use and offer specific advantages necessitated by extreme valve lift curves with stratospheric pressure curves as key elements. Radical applications demand dedicated monitoring but often simple visual inspections will avoid problems. Trend’s Steve Rhodey suggests looking for ball tip deformation, galling, or excessive wear that are usually the result of extreme heat. 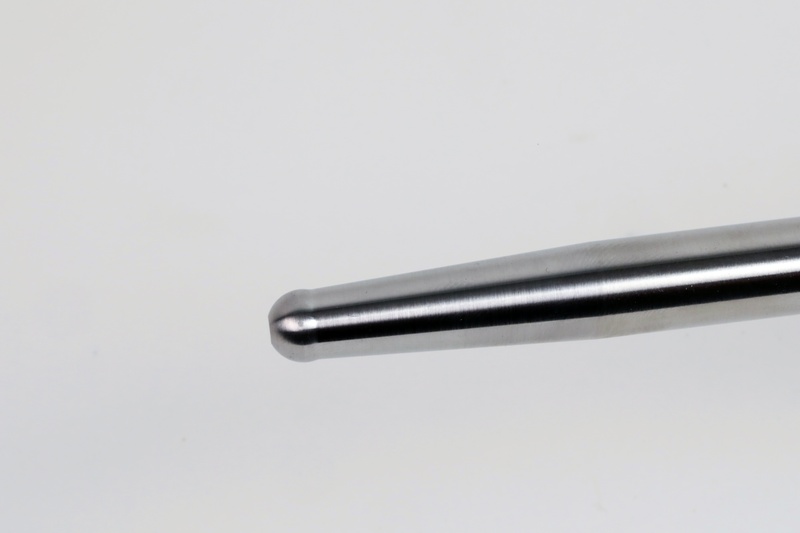 Trend also manufacturers rocker-arm adjusters, which gives them tight control over both the pushrod cup/ball and the rocker cup/ball mating surfaces. This allows for the perfect clearance and proper material selection. One way to prevent both heat and wear is to also choose a quality lubricant. 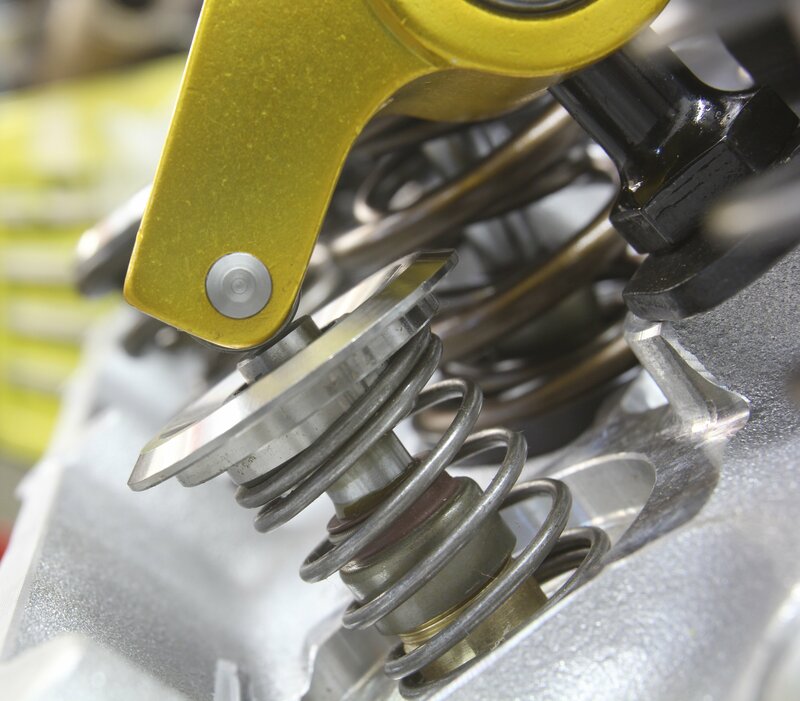 Off-the-shelf parts store oil has dramatically reduced its zinc and phosphorous content (also known as ZDDP) which are high pressure lubricants. Race oils increase this content and synthetics may also be a benefit with regard to maintaining a lubrication film under high load pressures. Rhodey says Trend recommends oil from Champion, Driven, or LAT Racing Oils. 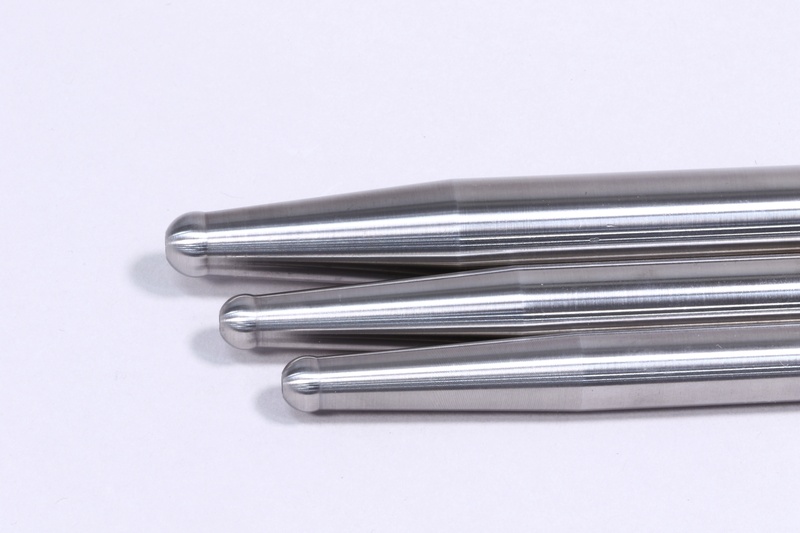 This was a quick jaunt through Trend’s pushrod tip applications that should help with dialing in your valvetrain and pushrod requirements. Often times, it’s the little things that make the biggest difference.